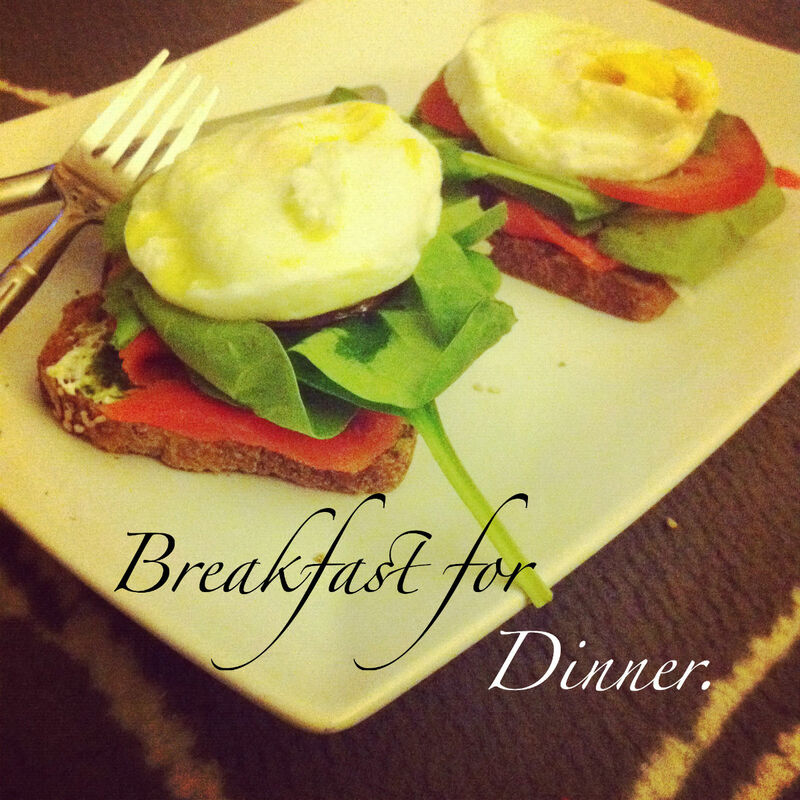 I got a little creative/lazy the other night and decided to embrace a favorite dinner habit – breakfast for dinner. It wasn’t just any breakfast though, but rather an impressive little concoction that I whipped up in just 10 minutes based on a favorite brunch item from a new favorite weekend hangout, Daily Eats. They have this delectable version of Eggs Benedict called “The New Yorker” that includes smoked salmon an avocado creme, tomatoes and onions, topped with this silky hollandaise sauce. I actually ordered it To-Go last weekend because I had such a craving for it. Well, hollandaise is just a tad bit rich and calorie-packed for a post-workout meal, so I took a stab at my own version of the egg dish for my dinner. After your bread is toasted and your eggs are poached (I did mine in the microwave in about 2 minutes), all you need to do is assemble everything as listed above (first item goes on the bottom, the second on top of that, and so forth). I drizzled the EVOO on top just to moisten the whole thing up a little bit. Because the smoked salmon is so salty and the pesto so flavorful, I didn’t need any additional spices. Are you a fan of the breakfast for dinner? What’s your favorite?